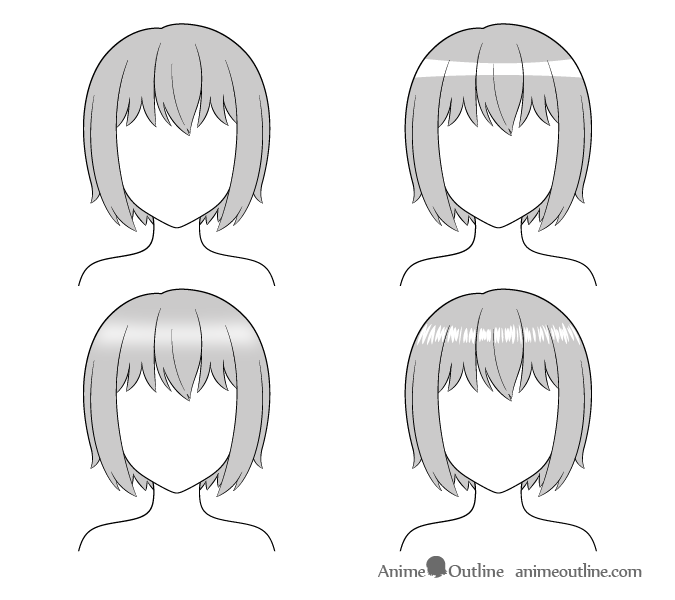 This short tutorial shows several common ways to draw anime hair highlights. 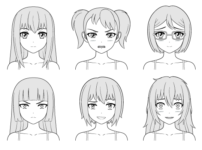 The examples include simple, gradient and realistic highlights. 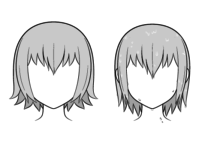 Hair highlights are basically just light reflecting from the hair. Their color can change depending on the color of the light source but generally they tend to be white. 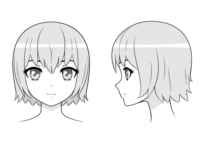 Anime and manga style hair highlights are often very simplified and fairly easy to draw though the way you draw them can depend on weather you are drawing using traditional or digital medium. 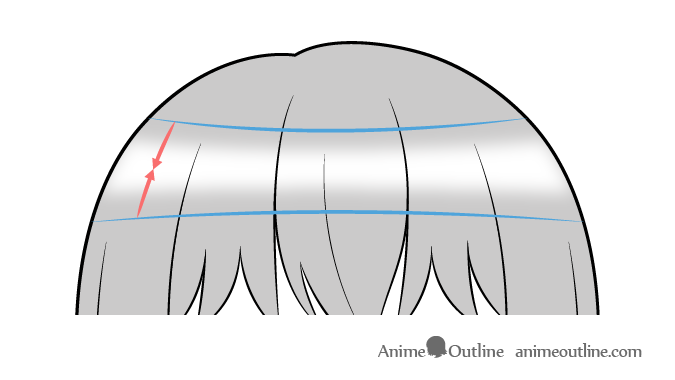 Though this tutorial is about drawing hair highlights it should also be mentioned that in some occasions anime hair can be drawn without any highlights at all. 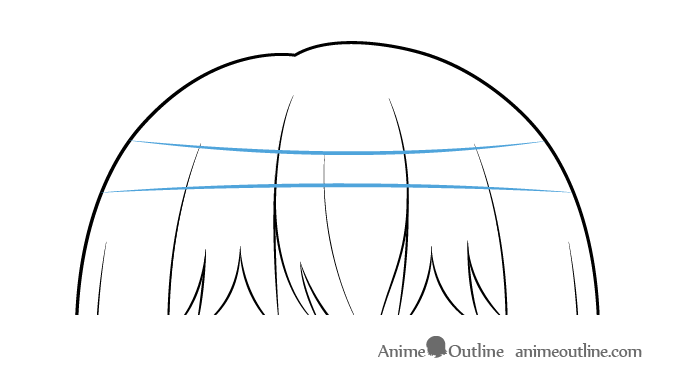 The most basic type of hair highlight used in anime and manga can just be draw as one simple shape. For this type of hair highlight simply draw two lines to indicate the top and bottom of the hair highlight and then either leave the area white or color it in with a bright color. 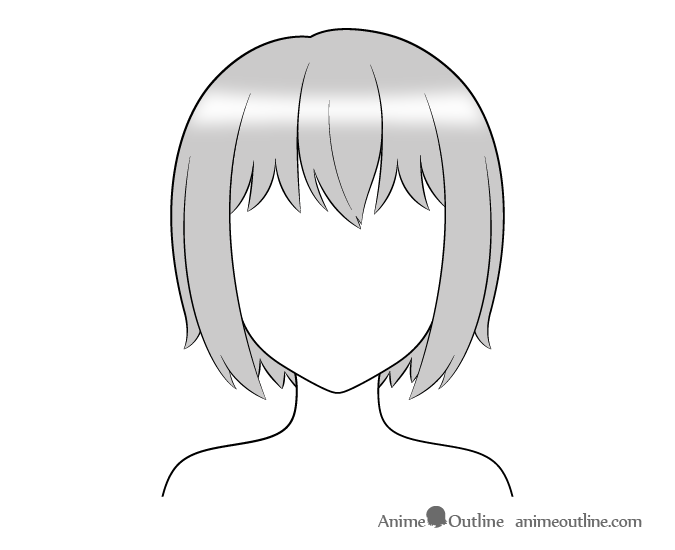 The gradient hair highlight is similar to the previous example but the edges are blurred/blended to have a smooth transition between the highlight and the color of the hair. Drawing this type of highlight can be a little bit tricky. If drawing on paper you may still want to draw a pair of lines to indicate the edges of the highlight and then blend inwards from those lines. 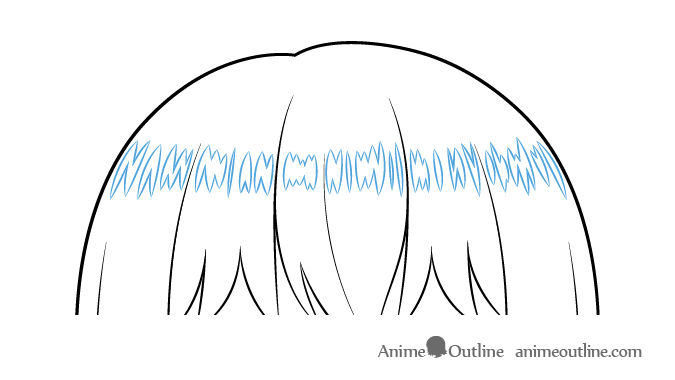 If you want to draw the highlight digitally it can depend on your drawing software but usually you can simply use a soft (blurry) brush to easily create this type of highlight. 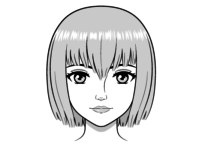 This type of highlight is less stylized and closer to real hair highlights and more traditional art. To draw a more realistic highlight like this on paper you can either create it as you color by leaving a random white area or you can lightly outline the highlight before coloring the hair. 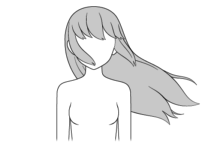 If drawing digitally you can add the highlight after you finish coloring and/or shading the hair. 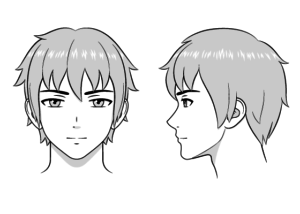 Again this can vary depending on the drawing software but generally you can simply draw the highlight as a set of brush strokes. 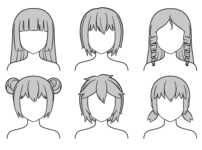 Anime hair highlights are fairly easy to draw but the difficulty can vary depending on the medium and highlight type you choose.